There are many things to consider before purchasing replica handbag, but the most important aspect is understanding what a replica handbags really is and what’s the difference between a fake and a genuine bag. Replica, clone, fake, imitation, lookalike, knockoff- no matter how you call it, it means the same thing. It is a product that has been created as a mirror image of the original designer bag. The materials used to manufacture it, the size, the colors, the weight, the tags, markings and details, everything has been carefully studied to create a purse that could trick even the most experienced eye into believing that this is the real thing. Believe it or not, today’s replica manufacturers have the knowhow and technology to achieve perfect lookalikes. Sometimes, it is almost impossible to tell if a Louis Vuitton or a Prada is a fake or the authentic bag. The place where it was created is the only difference. But not all replica handbags are the same. There are good quality imitation purses and then there are cheap looking fakes that wouldn’t fool anyone. Sometimes it isn’t that easy to see the difference between a poor quality clone and a perfect knockoff. The trick is to know your bags. Before buying a replica you have to research the original really well, to know everything there is to know about the way it looks, the materials used to make it, the colors it comes in, the tags and authenticity markings, the sizes and compartments. If you know these by heart then no one will be able to sell you an inferior product under the false promise that it’s identical to the original purse. 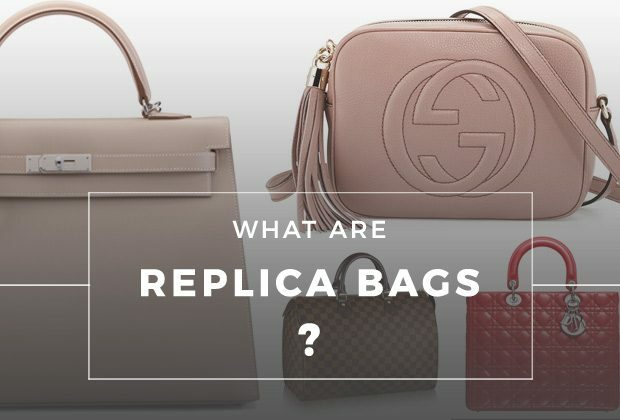 The main reason why people tend to buy replica bags for themselves or offer them as a gift to their loved ones is that these are a more affordable option. Authentic Chanel, Louis Vuitton, Prada, Gucci or Fendi cost a fortune. Not everyone has a couple thousand dollars to spare. On the other hand, the price for a replica bag ranges between $100 and $600 depending on the brand, material and design. And these are just as beautiful, stylish, comfortable and long lasting as the real thing. So why not save thousands of dollars by buying knockoffs? Replica purses are all around nowadays. You just need to know where to look. Flea markets are the most common places where you can find fake bags, but in some larger cities these are being casually sold on the streets. Nevertheless, the Internet is the best place for buying high quality replicas. From Ebay and Amazon to small websites that sell only imitation bags, the world wide web has an endless selection of fake purses that could fool even experts. And the best part is that you can take your time to research the available offer, compare prices, asses how authentic they look, speak to customer service, enjoy offers and return policies. Replica handbags are the affordable alternative to designer handbags. It’s hard to imagine that a cheaper product could look the same, feel the same and bring the same value, but in some cases a fake is able to offer all these advantages. You just need to open your eyes and be careful what and from where you shop. If you play your cards right you could be the proud owner of your favorite designer handbag without spending a small fortune on it.